Tetzoocon is the brainchild of Darren Naish and John Conway. The first of its kind, Tetzoocon specialises in the earliest four-footed vertebrates and all of their descendents – no mean feat considering most specialisations limit themselves to subgroups of these, such as amphibians or birds, and even then the subject is enormous. 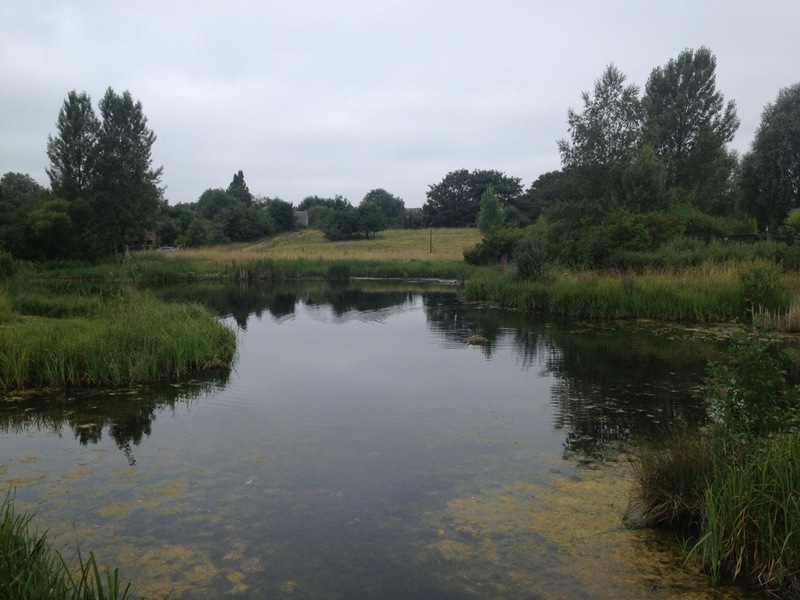 The conference was held in the London Wetland Centre near Hammersmith. A beautiful oasis of nature in a desert of buildings and airport traffic. We’ll talk about the venue in more detail later but first: the talks. Darren opened the day with a talk on speculative zoology: a subject which covers future evolution, intermediary species of known clades, extrasolar evolution, and purely imagined beasts living within earth’s existing ecological niches. Of these, only one has testable predictive power (the intermediary specimens between known clades) and in time will be either borne out or disregarded. Needless to say that natural history collections do and will continue to play a large role in this thought experiment. There is a long tradition of humans imagining new creatures dating back thousands of years but it has really erupted in the last few decades – from the massively influential books of Dougal Dixon to the gross box-office smash Avatar. There is a new book out from the makers of All Yesterdays which explores speculative zoology in more detail. Renowned pterosaur palaeontologist and palaeoartist Mark Witton was next with a look at how azhdarchids have been portrayed in art since their discovery. The image of azhdarchids was all over the place for a long time – a lot of what we ‘knew’ about them appearance-wise was based on previous speculation until these beautiful pterosaurs were methodically examined and a coherent picture of what one looked like started to emerge. Today if you look at a lot of modern palaeoart you can see the family connection in the group, which is a good indicator that the artist is on the right tracks. Again the natural history collection is employed here to help artists be more accurate in their portrayal of living species. What else can I say about Mark’s talk that won’t divulge as-yet unpublished information? I’ll say this: if you’re at all interested in Mesozoic ecosystems you will attend Flugsaurier2015 and hopefully Mark’s research will be published by then. If you can’t tell already I’m really excited by this news item! 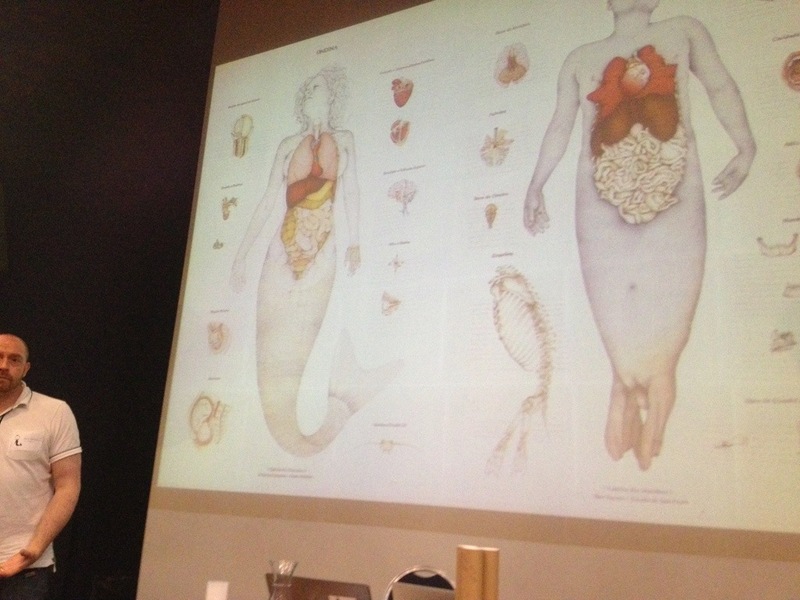 NatSCA‘s new chair Paolo Viscardi gave us the latest on mermaid specimen research: the latest news being of course that they are fabricated – often badly. Contrary to the claims of certain unscrupulous documentary makers this is all we have by way of mermaid evidence: a bunch of assorted fake specimens. There are no mystery hominid skulls with sonar adaptations or any ichnofossils of any kind to suggest that we have ever shared our planet with an ape more aquatic than a chimp. There have been times when an animal has been thought to be a rumour/fake and then a verifiable specimen turns up. That’s the crucial factor and a vital role played by natural science collections in separating hearsay and conjecture from fact. When we talk about a new species we start with a type specimen and base comparisons of subsequent specimens against the type. With mermaids we have numerous cultural ‘eyewitness’ accounts, not all of which agree on the description. The Western image typified by films like Splash and the Little Mermaid do not describe the same animal as the Eastern description, such as the Japanese Ningyo or Gyojin – nor do they match European sailor’s eye-witness accounts which effectively resemble a manatee with a human neck and fake specimens have been made by starting with a dead manatee and working from there. With all these fake specimens hanging about, Paolo has started sorting them into types of man-made species – a biologist’s solution to the problem of cataloging anthropological artefacts. They’re fascinating from the perspective of human history even if they aren’t a new addition to the animal kingdom. There was way too much interesting stuff to tackle it all in a single post. Tune in later this week for part two of Tetzoocon.